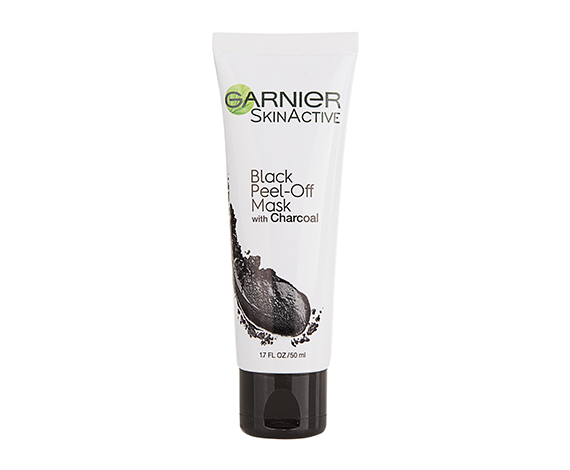 Garnier SkinActive Black Peel-Oﬀ Mask with Charcoal is a liquid to peel off mask, formulated with charcoal. This face mask visibly removes deep pore impurities and reduces the appearance of pore size to reveal a fresh, healthy- looking complexion. This peel off charcoal mask adjusts to your needs, you can choose where to apply it according to your skin area's concerns. This face mask can be used in the t-zone (including chin) or nose-only. For all skin types and can be use by men and women. Made with charcoal this peel off mask dries in 10 minutes and peels off revealing encrusted impurities that dull the skin while controlling new sebum & pore-cloggers from forming. This product is phenomenal. It is easy to peel off and makes your skin feel nice and clean. If you are thinking this is like those painful peel off masks, don't! It isn't! This is amazing! Takes out gunk from your pores and it is so satisfying. Although the garnier skinactive black peel off mask didnt peel out the way i expected, i think either because of the little hairs on my face or i need to put a thicker layer. The mask actually took out all my black heads and it felt like i just peeled off my old skin!!! My skin was a bit red but very clean. I have used othwr masks but never one that takes my blackheads out. I love it!!! I usually never buy charcoal face masks because my skin is sensitive. I was so surprised when the Garnier SkinActive Black Peel-Off Mask with Charcoal was all skin types cause it's so rare to find charcoal mask that are all skin types. When I first tried the Garnier SkinActive Black Peel-Off mask with Charcoal it was amazing. First of all it smells amazing, Second you don't really need alot of product cause it's a thick charcoal mask and Lastly it pulled a lot off my black heads out and made my skin smooth and helped soothe my acne, this charcoal peel off mask has done more for my face than the other charcoal masks that I have tried and used. #FreeproductfromPINCHme. Free Product from PINCHme. 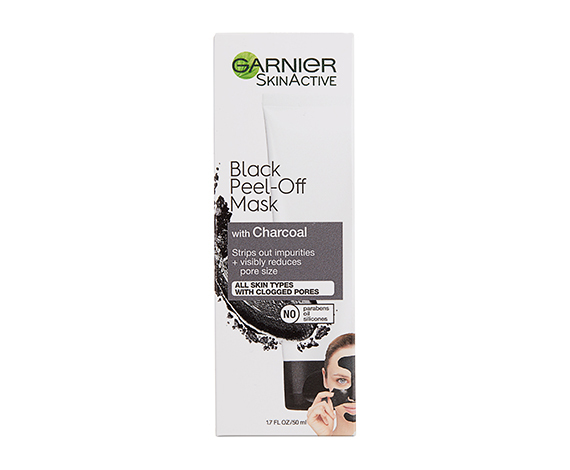 The Garnier Skin Active Black Peel Of Mask with Charcoal strips out impurities and visibly reduces pore size. It has up to six full face applications. I disclose that I received a free sample from pinch me for my honest review. Love love love! This mask is so good and made a huge change. I have never tried the brand Garner SkinActive but once I tried the Black Peel-Off Mask with Charcoal I fell in love lol. It leaves your face feeling soo fresh n soft. 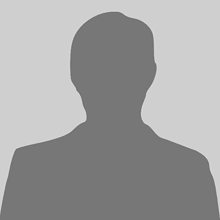 I recommend this product! I loved this product. I complete my expectations. It has a light texture and is easy to apply. After using it, my skin was super soft and more clear. Thanks Garnier skinactive for creating this product that I loved. black peel-off mask with charcoal is the best. I received a free Garnier SkinActive Black Peel-Off Mask with Charcoal sample from PINCHme and I was very excited to try it right away. The mask is really easy to apply and it is very easy to remove as well. It made the skin on my face feel soft and smooth, I loved it! I intend to use it regularly from now on and I definitely recommend it. my skin is oiled, I followed the instructions and I waited for 20 minutes but the result was not very good, I removed it from my face and I could not see anything coming out, the mask has a very good smell but I do not recommend it for my skin type . Garnier SkinActive Black Peel Off Mask made my skin feel awesome. I received Garner SkinActive Black Peel-Off Mask through PINCHme.com as a free sample. This product was fun to use and extremely easy. Had a pleasant smell to it also as most don’t. It didn’t hurt when taking it off and I even got my husband to try it. We both really love it and plan on buying more. I was very excited, yet nervous to try the Garnier SkinActive Black Peel-Off Mask with Charcoal. I was nervous because, just like everybody else I have seen those videos of people screaming in pain from using a peel off mask. Well, thankfully this mask wasn't painful to remove at all! It was easy to apply and remove. I didn't think it removed anything, until I looked closer and you could actually see were it cleaned out my pores. My blackheads on my chin were gone! I took 1 star away because, all though the scent wasn't awful. I wasn't a fan of the smell of it, it reminded me of a mens cologne. I prefer my face masks to not have a scent to them. I wasn’t pleased. The mask was hard to apply and was hard to peel off when I was done. I received Garnier SkinActive Black Peel-Off Mask free from Pinchme in exchange for my honest opinion. The product left my skin feeling soft. However, it hurt to remove. It takes too long to dry...20 minutes (who has time for that). It also smells horrid. I wouldn't buy this product and don't plan on using it again. I love Garnier SkinActice Black Peel Off Mask with Charcoal!! I recently had a few breakouts on the chin area of my face. I applied the mask, woke up the next morning with no more breakouts! I definitely recommend this mask! My favorite brand has always been Garnier, so my after trying Garnier SkinActive Black Peel-Off Mask with Charcoal I was still I love with the brand. I really enjoyed this product and I intend to continue purchasing tho brand as well as this product. I really liked this product. The charcoal works great for oily/combination skin. After I took it off my face felt so clean! I loved the Garnier SkinActive black peel-off mask with charcoal! It not only took care of my blackheads but I actually really loved the smell of the mask, most masks have an awful chemical smell but not this one! I have gotten a FULL Product of Garnier SkinActive Black Peel-Off Mask with Charcoal this week. Let me tell you it's so refreshing on my face. In the mist of waiting for it to dry ; it makes you face tingling. I would recommend this product to any one!!! My first time using Garnier SkinActive. Black Peel-Off Mask with Charcoal. The product is very easy to apply is not very liquid or very thick. In the box come the intruciones in the areas that must be applied. I do not recommend that they apply it on the whole face because it would be very painful when removing. The mask takes 20 minutes to dry and feels fresh. The mask yes remove the pimples. I used the Garnier SkinActive Black Peel Off Mask and I absolutely love it! It works so well and it is so easy to use and remove. My face felt so clean afterwards.